Sling Media have announced the launch of SlingPlayer Mobile - a mobile phone-specific version of their innovative TV-forwarding platform that will be compatible with Symbian OS phones such as the Sony Ericsson W960i and Nokia N95. The new platform will enable Slingbox owners to watch and control their home TV and digital video recorder (DVR) using their smartphone and an internet connection. Stuck waiting for the train and fancy catching up on last night’s MOTD. 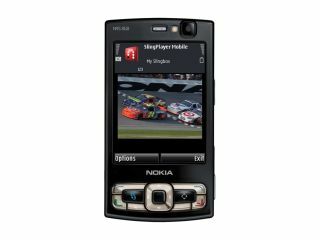 With a Slingbox at home and SlingPlayer Mobile installed on your Nokia N95 you’ll be able to do just that. Sling Media expects to release SlingPlayer Mobile for UIQ worldwide this summer and expects the new version of SlingPlayer Mobile for S60 to be available in the Spring. "We are excited to expand our support for Symbian smartphones, providing customers with the best possible mobile TV experience. With over two-and-a-half billion global 3G and Wi-Fi connections the market potential for mobile TV is huge," said Blake Krikorian, co-founder and CEO of Sling Media.